POWERING HEAVY INDUSTRYHorner Industrial Group has been helping power businesses in the Midwest for over half a century with industrial solutions, field services and industrial products. Our 24/7 emergency service and response team provides your business with quality, value and excellence for all of your electrical and mechanical needs. Watch this video to learn more about our CoolBLUE Inductive Absorbers. Visit our YouTube channel to see more Horner Videos. 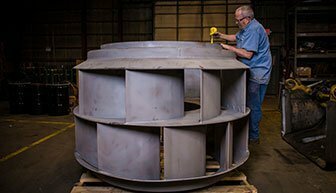 The experienced staff at Horner Industrial Group offers in-depth knowledge and hands-on experience in industrial and commercial equipment repair, electrical and mechanical ﬁeld service, advanced vibration analysis and hydraulic cylinder repair. You can rely on Horner Industrial Group of Indianapolis to provide in-depth knowledge and hands-on experience in industrial solutions. 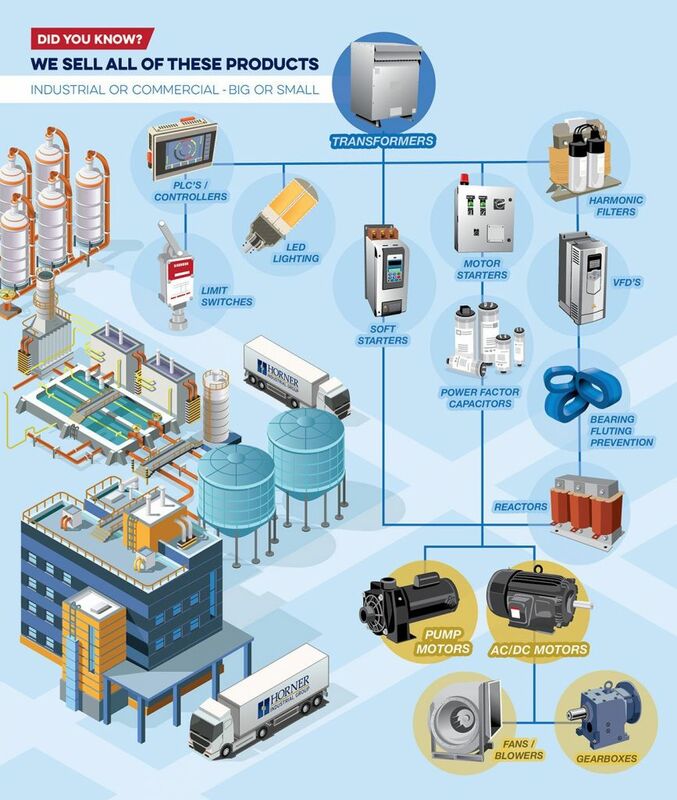 Horner offers a comprehensive product line from some of the best mechanical component manufacturers in the world. 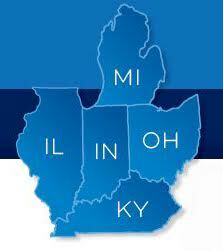 Horner Industrial has locations throughout the Midwest, for all your industrial equipment repair and maintenance needs. "Thank you and everyone involved in the response of our emergency breakdown in Winchester, KY. From our first phone call, through the rebuild process, your company was superb with their quick and immediate response. Horner Electric was exceptional with every aspect of their service. Horner goes beyond the ordinary to service their customers."